The Upper Deck’s central location on the Cape Peninsula means that all of Cape Town's main attractions are within a 35-minute scenic drive, including the Table Mountain Cable Way, V&A Waterfront, the Two Oceans Aquarium, Robben Island, Kirstenbosch Botanical Gardens, Chapman's Peak, the Cape of Good Hope (Cape Point), Boulder's Beach penguin colony and the Constantia winelands. 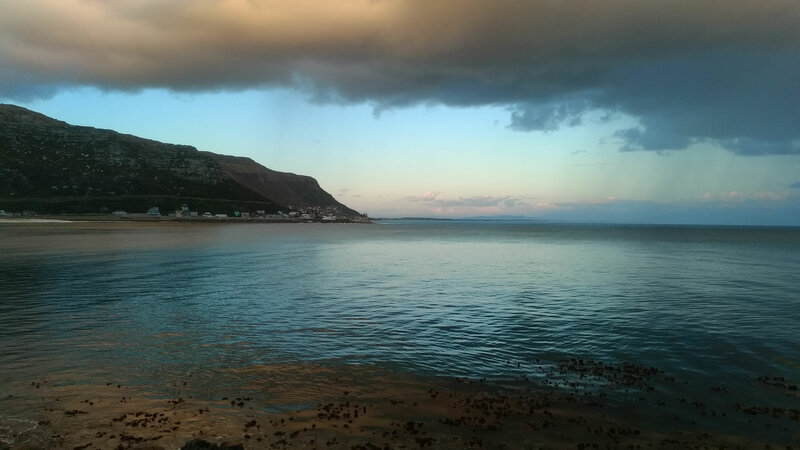 A five-minute walk along the coastal path takes you to Fish Hoek’s centre, where you will find banks, supermarkets and other conveniences, rental shops and guides for all manner of watersports including sea-kayaking, surfing and and stand-up paddling (SUP), as well as a variety of restaurants catering to all tastes. 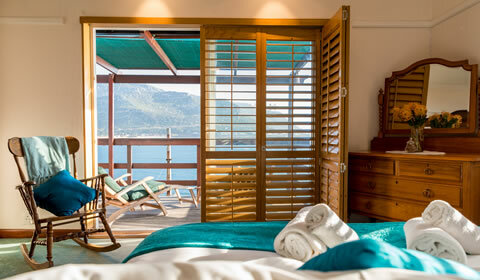 To the north and south along the shoreline are Cape Town's two picturesque harbours of Kalk Bay and Simon's Town. Connected by scenic road, shore-hugging railway (even an antique steam train on Sundays) as well as a beautiful coastal walk, each village offers an abundance of chic terrace cafes, restaurants and bars. The fishing village of Kalk Bay is one of Cape Town's most vibrant spots for local music, art and theatre, while its antique shops and craft markets offer plenty of diversion for sun-soaked shoppers. 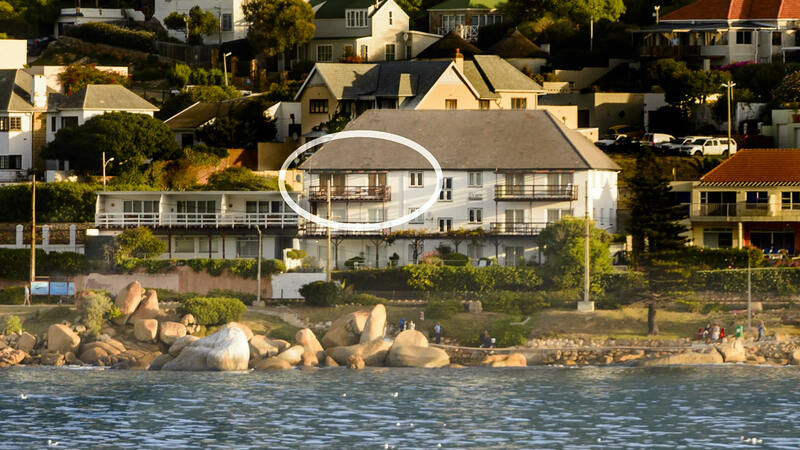 Simon's Town boasts a naval museum, a fascinating toy museum, dockside seafood restaurants and quaint curiosity shops. 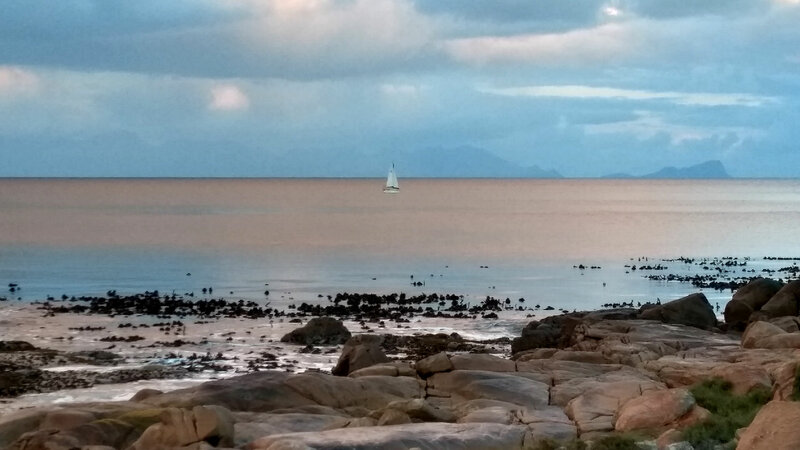 Beyond the naval base and yacht marina of False Bay Yacht Club is Cape Town's famous penguin colony at Boulder's Beach and a string of exquisite, sheltered coves for warm-water swimming. A little further south in the Table Mountain National Park lies Cape Point at the south-western tip of Africa, where you'll find zebra, eland, springbok, bontebok, bushbuck, ostrich, baboons and other game to be viewed. 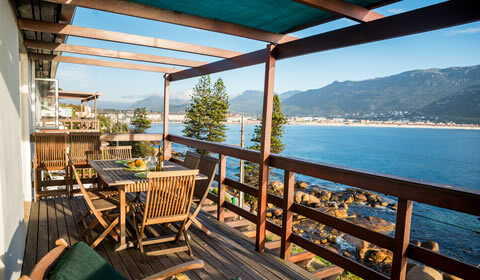 Our sparkling waters, white sandy beaches, rocky shores and unique mountain backdrop offer something for everyone. There are safe swimming beaches and sheltered tidal pools, thundering waves and world-class surf spots. We have sunshine - lots of it - the whole year round, even in winter when warm and windless blue-sky days often stretch into weeks between brief, wild storms. 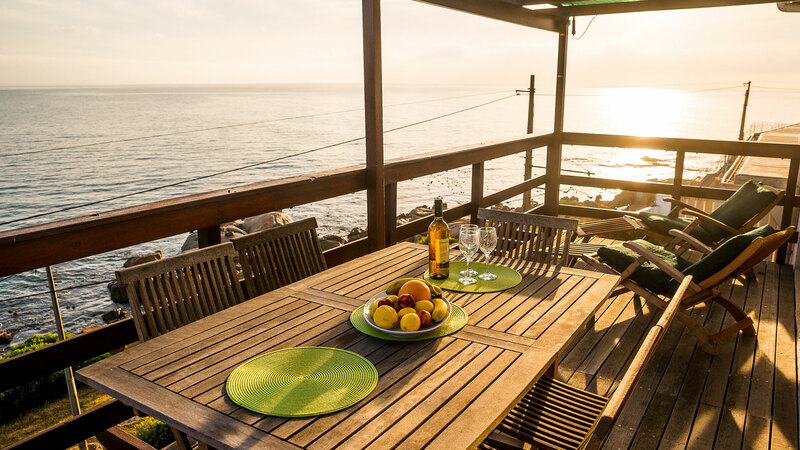 When the summer trade winds blow, you can always find a sheltered spot to catch a suntan; in autumn and winter the Southern Right and Humpback whales visit…watch their antics as you breakfast on the deck. A multiplicity of terrace cafes and restaurants caters to all tastes and pockets, there are antiques and collectables, museums, theatres and art galleries and an antique steam train traversing the spectacular shoreline railway track every second Sunday. There are three beautiful golf courses (Simons Town, Clovelly and Westlake) in close proximity to our apartment, and several others are no more than an hour’s drive away. For animal lovers and twitchers, the nature reserves and coastal wetlands offer rich opportunities for birdwatching and game viewing. Situated in the Table Mountain National Park, we have many wonderful hikes and superlative coastal strolls to suit all levels of fitness. The mountain chain is criss-crossed by trail-running routes with spectacular and ever-changing views. It’s a magnet for paragliders as well as rock-climbers, who can challenge themselves at all grades of difficulty on either sandstone cliffs or granite boulders. Our coastline offers surfing spots for everyone, stand-up paddling, sea-kayaking, catamaran-sailing and kite-surfing. You can snorkel, spearfish, scuba-dive on old wrecks, charter a yacht or go deep-sea game fishing. You can try angling from the rocks or shark-cage diving…or canter a horse along beautiful white-sand beaches. 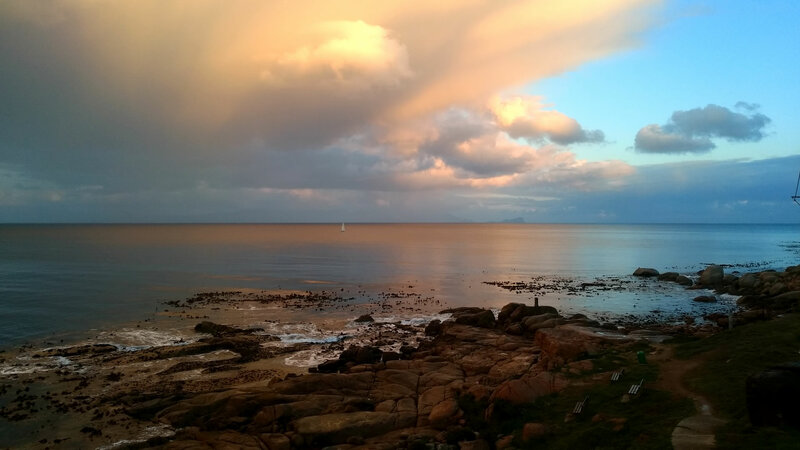 From the picturesque fishing harbour of Kalk Bay to the Victorian naval base at Simon's Town, from Surfer’s Corner to the famous penguin colony at Boulders Beach, you’ll need a lifetime to explore it all. Beware…this is truly a place you could fall in love with!